Beginning in January 2013, the National Registry adopted the NHTSA National Standard Curriculum for Paramedics. With this transition, the term Paramedic is no longer a sub-title under the larger umbrella of Emergency Medical Technicians (i.e. EMT-Paramedic). 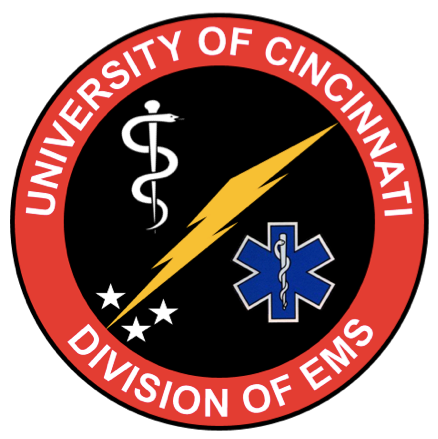 Likewise, EMT-Intermediates will transition to Advanced EMTs and EMT-Basics will simply be known as EMTs. Providers that were initially certified prior to January 1, 2013 must transition from NREMT-P to NR-Paramedic by 2016 if they expire in even numbered years or 2017 if their expiration date is in odd numbered years. National Registry Providers that do not complete the transition requirements by these deadlines will be considered Advanced EMTs by the National Registry. The transition requirements vary by state. The National Registry has left it up to each state to determine how they wish to offer the transition curriculum. Ohio, for example, has chosen to incorporate the transition curriculum into its 48-hour Paramedic Refresher Course Curriculum. For Ohio Providers, the easiest way to complete the National Registry Transition to Paramedic is to complete an Ohio Approved Paramedic Refresher (this is not a requirement to continue practicing as a Paramedic in the State of Ohio). One may ask, “Why should I bother keeping my National Registry Certification current?” First, National Registry requirements supersede Ohio’s recertification requirements. Therefore, if a provider has a current National Registry Certification at the time their Ohio Certification is about to expire, they have, for the most part, already met all of Ohio’s requirements to recertify. All that is required at that point is to complete the State of Ohio’s Recertification Application. Second, if a provider were to ever seek a Reciprocity Certification in another State, having a current National Registry Certification is typically the easiest, and sometimes only, route to Reciprocity. Finally, there are some employers, though not many, that require their employees to maintain their National Registry Certification as a condition of employment. In short, maintaining your National Registry Certification makes life simpler in a variety of situations. Despite what some think, there are a variety of routes to meeting the state and National Registry’s Continuing Education Unit (CEU) requirements for recertification. If you are unclear on how many CEUs you received for a certain activity, you should refer to the certificate of completion you received for that activity. As a general rule, if you didn’t receive a certificate, you cannot count any CEUs from that activity. It should also be noted that completing a traditional 48-hour refresher course is not required by the State of Ohio or by the National Registry. Providers may meet the 48-hour Refresher Requirement by completing 48-hours of CEUs from a variety of courses and activities rather than all in one course. The provider simply has to ensure that the hours they are counting toward this 48-hour requirement meet the curriculum hours outlined in a 48-hour Refresher Course. For example, the Ohio Paramedic Refresher Curriculum requires 12 hours of education on pediatrics. The provider must ensure that the individual CEUs they obtain include 12 hours of pediatrics education. As long as the curriculum requirements are met, the provider does not need to attend a Refresher Course during every recertification cycle. CEU hours can also be obtained by attending various conferences or seminars. Any class offered through the National Association of EMTs (AMLS, PHTLS, etc.) awards CEUs upon course completion. There are also a variety of other classes that can be completed for CEU hours. Some of these include: The Difficult Airway Course—EMS, Basic Life Support—Obstetrics, our Advanced 12-Lead ECG Interpretation Course, and many more. In summary, there are a number of routes a provider can take to meet his/her recertification requirements. It is up to the individual provider to know the requirements of their own state (and the National Registry if appropriate). Take ownership of your certification, seek out the necessary information, and make your CEU experience the best it can be. We owe it to ourselves and, most importantly, to our patients.